The adult human adipose tissue is predominantly composed of white adipocytes. 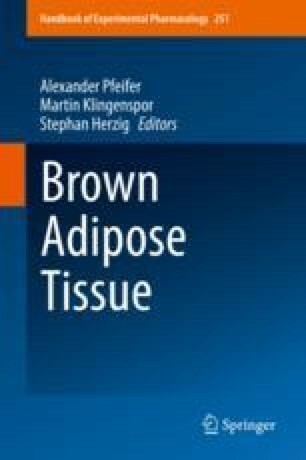 However, within certain depots, adipose tissue contains thermogenically active brown-like adipocytes, which have been evolutionarily conserved in mammals. This chapter will give a brief overview on the methods used to genetically target and trace both white and brown adipocytes using techniques such as bacterial artificial chromosome (BAC) cloning to create transgenic mouse models and the tools with which genetic recombination is mediated in vivo (e.g., Cre-loxP, CreERT, and Tet-On). The chapter furthermore critically discusses the strength and limitation of the various systems used to target mature white and brown adipocytes (ap2-Cre, Adipoq-Cre, and Ucp1-Cre). Based on these systems, it is evident that our knowledge of mature adipocyte categorization into brown, white, brite, or beige adipocytes is strongly influenced by the use of the various genetic mouse models described in this chapter. Our evaluation of different studies using the aforementioned systems focuses on key genes, which have been reported to maintain adipocyte’s function (insulin receptor, Raptor, or Atgl).